It is Friday!! Thanks for stopping by! We made it through the week. What a relief!! 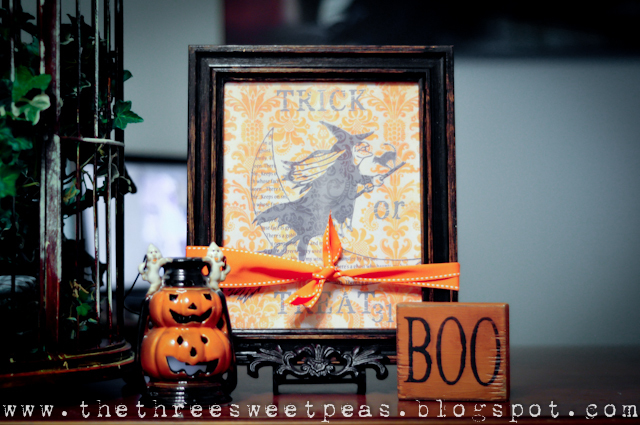 Enjoy my newest printable, Trick or Treat. Print and Frame it, an instant decoration. It will fit in any 8x10 frame. Enjoy! Thank you so much for this post. I want to let you know that I posted a link to your blog in CBH Digital Scrapbooking Freebies, under the Page 5 post on Oct. 10, 2011. Thanks again. I love this!! It's so fun :) Thank you for sharing! !